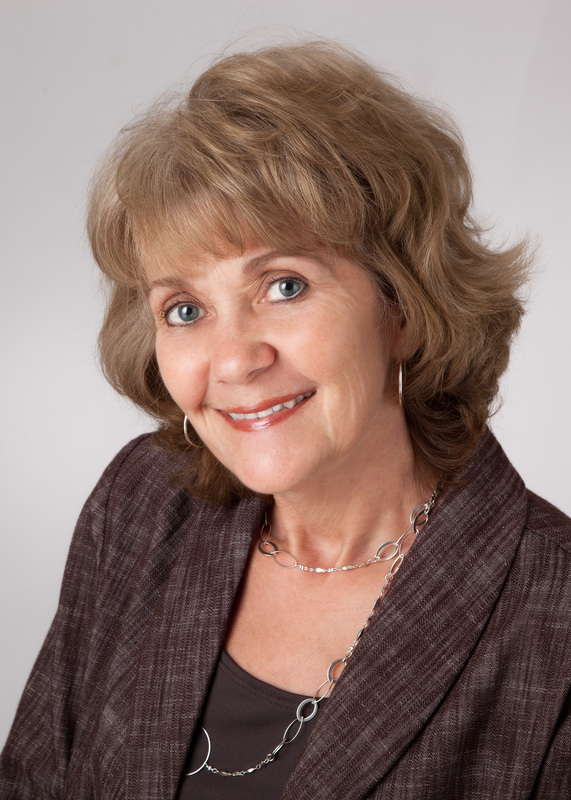 Cyd Notter is a graduate of the Center for Nutrition Studies and a certified instructor for several dietary courses, including The Starch Solution, Food Over Medicine, and Women’s Health. She has also successfully completed courses in Nutrition for a Healthy Heart and Dietary Therapy for Reversing Common Diseases. Cyd offers a variety of health and cooking classes, provides nutritional coaching on both individual and corporate levels, speaks to local groups, and has worked with school district employees and a hospital’s fitness center. Her column titled “The Nutrition Coach”—which ran in three local newspapers for seven years—featured general dietary advice, recipes, and answers to reader’s questions. Several of her articles have also been published in Cape Style Magazine, a Florida-based online publication. 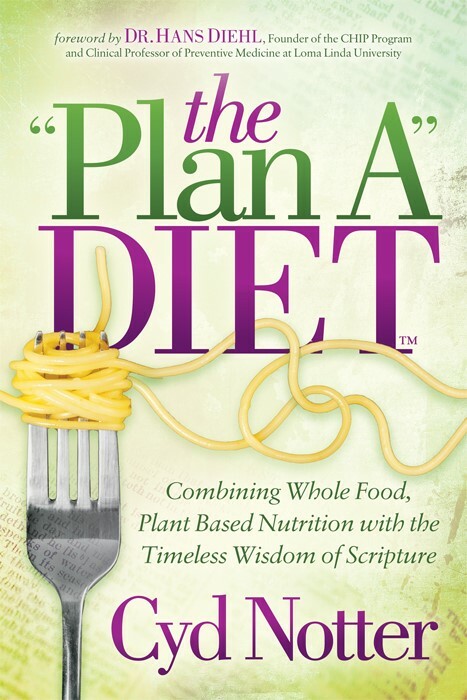 Combining her decades-long study of both nutrition and scripture, Cyd founded The ‘Plan A’ Diet™ to illustrate the correlations between biblical principles and healthy eating and to encourage Christians to take an active role in their health. Her “Wonderfully Made” ministry offers nutrition coaching, health and cooking classes, and weight loss challenges. Notter’s past accolades include being named Woman of the Year by the Morris Business and Professional Women in 1998, Entrepreneur of the Year by the Grundy County Chamber of Commerce in 2000, and having her former business featured on several occasions in Décor magazine. She and her husband Steve enjoy outdoor activities, classic movies, and old Volkswagens. Has developed a ministry called “Wonderfully Made” – delivering health and cooking classes and helping Christians to lose weight/regain health. I became a vegetarian in 1991, however, my diet was very unhealthy; even though I had stopped eating meat, my diet still included lots of dairy, oils, and processed foods. At that time I thought I was doing all of the right things, and looking back now, I realize I was living in a complete state of ignorance. Around 1999, I stumbled upon a 4-week health class being offered by The Wellness Forum (now known as Wellness Forum Health), which is based in Columbus Ohio. I attended the class in order to have a night out with the girls, not realizing that my entire life path was about to change. The Wellness Forum founder, Dr. Pam Popper, is a no-nonsense person who dives into medical research and really gets to the bottom of things. I liked the fact that the teachings were based on long-term, independent research, and also on the healthiest populations in the world. I went on to host several subsequent classes over the years, and in 2009, I became a Certified Health Educator to conduct classes on their behalf. The materials rang true with me then, and they ring even truer with me today as the scientific evidence continually mounts. With a dire family history of heart disease, diabetes, cancer and other ailments, my motivation to consume a whole food, plant-based diet is to stay off medications, stay out of the medical system as much as possible, and enjoy freedom in later life…. freedom to travel and hike, and freedom to live independently in old age. I can personally attest to the positive changes that result from adopting this lifestyle, as my cholesterol dropped 60 points rather quickly to a healthy level of 150, my bone health has improved, and my frequent bouts with colds have been almost totally eliminated. In 2011, I was certified in plant-based nutrition by the Center for Nutrition Studies, under Dr. T. Colin Campbell (author of the China Study). Most of the doctors teaching that course are well known and have been featured in the wonderful documentary “Forks over Knives”. Later, in 2013, I became certified by Dr. John McDougall to conduct classes based on his best selling book, ‘The Starch Solution”. I plan to keep current with what the latest research shows regarding the healthiest diet for humans – which is a whole-food, plant-based, no-added-oils diet. Most recently in 2015, I completed Dr. Popper’s “Food Over Medicine” course as well as her “Women’s Health” Course, which further solidifies the fact that a whole food, plant-based, no-oil diet is the optimal way to eat. As a long-time student of nutrition as well as a long-time student of the bible, I began to see many correlations between biblical principles and healthy eating; principles such as stewardship, reaping what we sow, and the fact if you are a Christian, your body is a temple of the Lord and His most intimate gift. In 2013 I was led to finally begin writing these truths down in what has become The “Plan A” Diet™, which is a book in progress. More information about can be found on The “Plan A” Diet™ tab. My clients and friends who stay compliant with this way of eating have also seen tremendous health improvement; they are typically off most or all of their meds within a short time. They feel wonderful, and weight loss is a natural byproduct. Go to the “Testimonials” tab to read some incredible (but not surprising) stories. I would love to show you how to improve your health without the use of drugs or surgery. I offer coaching -both locally and by phone – and offer local health and cooking classes in the areas surrounding Wilmington, IL and Cape Coral, FL. I would welcome the opportunity to present a topic to any local groups as well. If you work in a company that would like a REAL wellness program, one that will truly provide results, I can help with that too. Thanks again for visiting! Check out our articles, recipes, and upcoming classes. And be sure to subscribe to our newsletter! Note: Information provided on this website is for general dietary purposes only and is not intended to be construed as personal medical advice. Please consult your physician for medical advice pertaining specifically to you.